Over 80% of tickets have now been snapped up ahead of the eagerly anticipated return of the Esports Insider Winter Forum in London on February 6th. With little over two weeks until the first ESI evening event of the year, we are delighted to announce that the one and only James Dean, CEO of ESL UK will be joining us to give a short presentation and answer questions about Weavr. For those unaware, the Weavr Consortium was awarded a two-year demonstrator grant by the UK government and ESL UK will be heading up the consortium. Weavr will follow our esteemed panel comprised of FACEIT, Riot Games, HKS and Perform who will discuss the “future of esports entertainment”. A Forum Series event wouldn’t be complete without some light-hearted Tekken fun, and food and drink aplenty whilst attendees network the night away. Did we mention that’s all for just £20? If that’s not enough, we can now reveal that we’re tiki-takaing the Forum Series on the road as we head to the academy home of the Premier League Champions, Manchester City, for our Spring edition of the Series on March 22nd. The event will take place at the City Football Academy Media Centre just a gentle stroll across from the Etihad Stadium. The theme and speakers of the night will be announced in the near future. 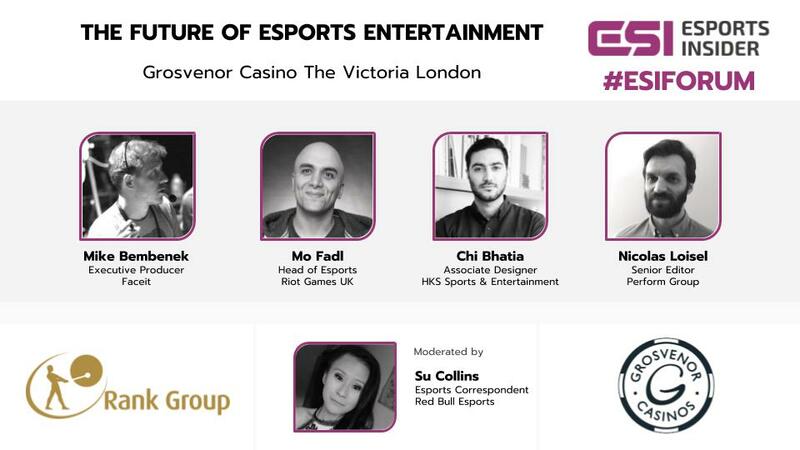 For any speaker, ticket or sponsorship enquiries please contact info@esportsinsider.com. The event will have a two-tiered ticketing system, with early-bird tickets available until the 9th February at £20 (excl VAT and fees) before the price moves to £25 (excl VAT and fees). This includes entry, some excellent food (the beautifully titled ‘Pub Grub Canapes’) and three drinks on the night, the panel and presentations, and more networking than you can handle. Similarly, attendees are invited to purchase a “combi-ticket” for the Winter Forum & Spring Forum which will sell at £25 (excl VAT and fees). Those who have already purchased a Winter ticket but wish to grab a Spring ticket will have the opportunity to grab one for just £15. We will provide more details of the discount on the night. Sam Cooke, Managing Director and Co-Founder of Esports Insider commented: “There’s been a world of change up at the Etihad since I watched Darren and Marcus Bent draw blanks for my beloved Charlton against a Manchester City side featuring Joey Barton, and Darius Vassell back in 2007. 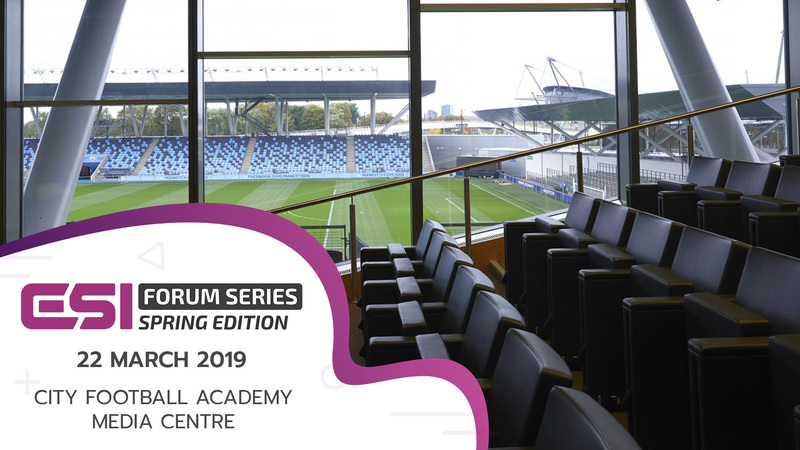 “I can guarantee the ESI Spring Forum will serve up infinitely more entertainment than that 0-0 draw as we’re delighted to bring our famous Forum Series up to the City Football Academy Media Centre”.